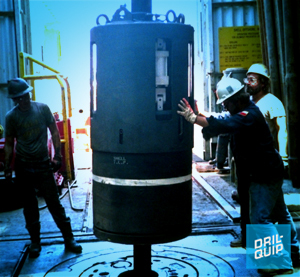 Dril-Quip’s SS-15 Subsea Wellhead Systems are rated for 15,000 psi working pressure and feature a field-proven, “weight-set” metal-to-metal annulus seal. The SS-15 system features the weight-set technique to install and retrieve all of the subsea wellhead components, including nominal bore protector, wear bushings and test tools. Contact your Dril-Quip representative for more information about the SS-15 BigBore Subsea Wellhead Systems.